Named “Best Urgent Care” 4 Years in a Row! Just about everybody at one time or another will get a bellyache. Most causes of abdominal pain aren’t worrisome, and your doctor can easily diagnose and treat the problem. Sometimes, though, it can be a sign of a serious illness. If your abdominal pain is severe, doesn’t go away, or keeps coming back, come see us. An abscess is a buildup of fluid, commonly known as pus, which contains a mixture of living and dead white blood cells, dead tissue, bacteria or other foreign substances. It results from an attempt by your body’s immune system to fight infection caused by bacteria, parasites or foreign substances. Treatments typically include drainage and antibiotics. When appropriate, the fluid may be sent to a lab and tested to determine what germ may be causing the abscess. Many insects, spiders, reptiles, and other animals can bite or sting humans. A person’s reaction to bites and stings depends on the type and amount of venom (if any) injected into the bite, whether the person is allergic to the venom, and whether the biting animal was carrying a disease-causing agent. Bladder infections are often more annoying than they are serious. But they can travel up to your kidneys, where they can cause more severe problems. So it’s important to treat bladder infections right away. Doctors usually use antibiotics to kill the bacteria causing the infection. Women, especially, should watch for symptoms. They are more likely to get bladder infections than men are. Need to pee more often. If you think that you have a broken a bone, get medical help. Call 911 right away if the bone appears through the skin or you suspect your head, neck, or back was injured. Even if that’s not the case, you should still see a doctor as soon as possible. Wherever you go, you will likely need an X-ray to help with the diagnosis. Your Doc’s In has convenient, on-site X-ray at all of its locations. 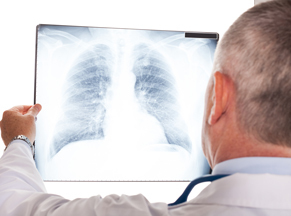 An infection in one or both of the lungs is known as pneumonia. Causes of pneumonia include such germs as bacteria, viruses and fungi. Pneumonia too can be caused by inhaling a liquid or chemical. Those most at risk include people older than 65 or younger than 2 years of age, or those with existing health problems. Heat, chemicals, electricity, sunlight or radiation can cause damage to your body’s tissues in what is known as a burn. A burn can lead to an infection as it damages the skin’s protective barrier. Treatment will depend on such factors as the depth of the burn, the cause of the burn and the amount of the body it covers. Common symptoms of the common cold include sneezing, a sore throat, a stuffy nose and coughing. Colds can be acquired by inhaling germs or touching your eyes or nose after touching surfaces with cold germs on them. Symptoms usually begin 2 or 3 days after infection and last 2 to 14 days. The best practice to avoid colds is to wash your hands or avoid people with colds. While there is no cure for the common cold, one can relieve its symptoms through rest, drinking plenty of fluids, gargling with warm salt water (to soothe a sore throat), using cough drops or throat sprays or taking over-the-counter paid or cold medicines. A number of viruses can cause the respiratory infection known as the flu. These viruses are contained in the air and enter your body through your nose or mouth. The flu can be serious or even deadly for elderly people, newborn babies, and people with certain chronic illnesses. Concussions can be tricky to diagnose. Though you may have a visible cut or bruise on your head, you can’t actually see a concussion. Signs may not appear for days or weeks after the injury. Some symptoms last for just seconds; others may linger. Concussions are fairly common. Some estimates say a mild brain trauma is sustained every 21 seconds in the U.S. But it’s important to recognize the signs of a concussion so you can take the proper steps to treat the injury. Sweating is what your body uses to cool itself. However, sweating may not be enough during times of hot weather and high humidity to cool off your body. A heat illness (heat exhaustion) may develop as your body temperature rises to dangerous levels. The primary factor in developing a heat illnesses occurs when one stays out in the heat too long. One’s physical condition and level of exercise given one’s age are also factors. Older adults, young children and those who are sick or overweight are most at risk. Limiting time in the heat, replenishing salt and minerals and drinking plenty of fluids to prevent dehydration can help. Dehydration can occur when your body doesn’t have enough fluid to properly work. Three quarts of water/day is needed by the average person. However, you will need a lot more than that if you are out in the sun. Random Drug & Alcohol Testing: Our client companies may elect to be in a random testing program. This process aids compliance with DOT regulations. Drug Testing Consortium: An option for smaller client companies is the consortium program. Several companies are pooled together for random employee testing every quarter. The drug testing consortium could be DOT or Non-DOT depending on your company requirements. Breath Alcohol Testing: As part of the dot standards, we provide the breath alcohol testing for post-accident, reasonable suspicion, random and pre-employment. Saliva Alcohol Testing: As part of the non-dot standards, we provide the breath alcohol testing for post-accident, reasonable suspicion, random and pre-employment. Instant 5 & 10 Panel screenings: Your Doc’s In provides onsite instant readings for negative results same day as the test is taken. There are conditions where the specimen must be sent out to a lab for further processing. This may take a minimum of 24 hours up to a few days. By a child’s third birthday, three out of four children will have at least one ear infection. These prove to be the most common reason parents bring their child to a doctor. While adults can also get ear infections, they are less common. The infection usually affects the middle ear and is called otitis media. The tubes inside the ears become clogged with fluid and mucus. This can affect hearing as sound cannot get through all that fluid. Often, ear infections go away on their own though a health care provider may recommend pain relievers. Severe infections and infections in young babies may require antibiotics. Pain and discomfort for children and swimmers of all ages can be caused by Swimmer’s Ear. An infection of the outer ear canal, swimmer’s ear results in an estimated 2.4 million health care visits every year. Within a few days of swimming, symptoms of swimmer’s ear can appear. This condition is typically more common in children and is usually painful. An irritation to the outer surface of your eye is the most common eye injury. Chemicals or heat can lead to the burning of the eye. In these cases, the pain may cause you to close your eyes, causing damage from the irritant being trapped to the eye. Should this occur, you should wash out your eye right away until medical help arrives. Infections to your eye from bacteria, fungi, or viruses can occur. In those cases, this may occur in different parts of the eye and can affect just one eye or both. Two common eye infections are pinkeye and styes. Pink eye is another name for conjunctivitis and is due to an infection. Children frequently get this and it is very contagious. It does not affect your vision. In most cases, the infection will clear without medical care. However, bacterial pinkeye needs treatment with antibiotic eye drops or ointment. A stye is a bump on the eyelid that happens when bacteria from your skin get into the hair follicle of an eyelash. In most cases, it will clear up without medical care. In the case of foreign bodies in the eye, the eye will often flush out tiny objects such as eyelashes and sand. This occurs through the normal blinking and tearing process. It is important not to rub the eye if there is something in it. It is extremely important that you wash your hands before examining your eye. If you have been hammering, grinding, or could have come in contact with metal fragments, DO NOT attempt any removal. Seek treatment asap. Your Doc’s In offers cost-effective and comprehensive occupational health services to support local employers. Some services we offer include physicals, drug and alcohol screening, spirometry, audiometry, flu shots and worker’s compensation care. Your Doc’s In is a walk-in clinic but in an effort to get employees back to work in a timely manner, appointments are encouraged. To make an in-office appointment, please call. Your Doc’s In will come to you! This vaccine is available at each clinic location or we could come to your facility. Your Doc’s In Clinicians will provide onsite services which alleviates employee downtime. A pulmonary function test that measures your lungs capacity to move air in and out. A test to measure the range and sensitivity of one’s hearing. Your Doc’s In offers PPD testing to determine if a person has developed immune response to the bacterium which causes tuberculosis. A test to measure the electrical activity of the heart. To schedule on-site services for your place of employment please contact our Occupational Health Coordinator, Cayla Calderone (ext 3001). Our goal is to create a healthier Delmarva, and it begins with taking care of your workforce’s health! Please fill out a Client Company Profile to begin our path to keeping your facility a safe and healthy work environment. Your Doc’s In has got you covered during flu season. Our influenza vaccinations are quick, inexpensive, and they’re the easiest and most effective way to avoid getting the flu. Most breaks or fractures occur in a bone. Open or compound fractures occur if the bone punctures the skin. Car accidents, along with sports injuries or falls, are the main causes of fractures. However, fractures too can be a result of osteoporosis. Treatment can range from a cast or splint to surgery to place a screw, rod or plate. At Your Doc’s In, we understand some things can’t wait—especially when your little one doesn’t feel well. Plus, we don’t turn anyone away, no matter their age! Our board-certified physicians are trained to treat even the tiniest of humans. Our schedule is built with you in mind. That’s why we are here for you as a walk-in clinic, 7 days a week, 364 days a year. Your Doc’s In accepts most major health insurance plans, and if we don’t accept your specific plan, we offer affordable self-pay options as well. Here at Your Doc’s In, we aim to diagnose and treat you all in one stop. That is why we offer onsite lab testing for rapid strep, RSV, and flu, among others. Also, for our sports loving kiddos, we have in-house x-rays to check for broken bones. We will work closely with your pediatrician’s office and upon request, we can send electronic medical records to their office. 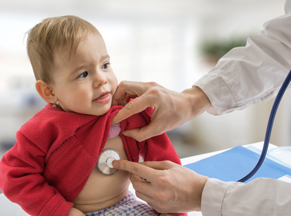 If your child’s pediatrician is unavailable, and they are in need of immediate care, stop by Your Doc’s In today! Some of the more common types of infections are bacterial, viral, staph and urinary tract infections. Certain types of bacteria are helpful. They can serve such purposes as helping one digest food, supply the body needed vitamins and destroy disease-causing cells. However, others can make you ill. These can reproduce in your body and give off toxins which can damage tissue and make you sick. While antibiotics are the usual treatment, each time you take antibiotics, you increase the chances that the bacteria in your body will become resistant to them later. Viruses are tiny and much smaller than bacteria. Viruses cause diseases such as the common cold, the flu and warts, to much more severe illnesses such as HIV/AIDS and smallpox. Viruses are like hijackers. They invade living, normal cells and use those cells to multiply and produce other viruses like themselves. This eventually kills the cells, which can make you sick. Viral infections are hard to treat because viruses live inside your body’s cells where they are “protected” from medicines. Antibiotics do not work for viral infections. However, vaccines can help prevent you from getting many viral diseases. Funguses are at the root cause of athlete’s foot or a yeast infection. While fungi live in the air, in soil, on plants and in water, some live in the human body. Fungal infections often start in the lungs or on the skin. The body’s drainage system for removing wastes and extra water, the urinary system, is made up of your kidneys, the ureters, bladder and uretha. An infection in any part of the urinary system, a urinary tract infection (UTI), is the second most common type of infection in the body. The scientific term for yeast is Candida. Yeast is a fungus that can live almost anywhere including in your body. Yeast is usually kept under control by your immune system. It can multiply and cause an infection if you are sick or on antibiotics. We offer on-site lab services at all of our clinic locations. For those who have been in an accident, here are some of the more common symptoms that can appear several days later. Nausea and vomiting can be symptoms of many conditions. It is important to understand that they are not diseases, but instead symptoms of many different conditions. This can include infections, morning sickness during pregnancy, motion sickness, food poisoning, migraine headaches or reactions to medicines or treatments. As nausea and vomiting are common, they are not always serious. DOT Compliance Physicals: All Department of Transportation (DOT) physical examinations must be conducted by a licensed “medical examiner” listed on the Federal Motor Carrier Safety Administration (FMCSA) National Registry. The DOT physical exam is valid for up to 24 months. 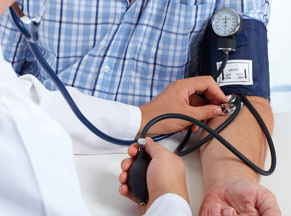 The Providers at Your Doc’s In are all certified to perform the DOT exams. Those passing the exam will receive their DOT card following their examination. These exams can be scheduled by contacting the respective office for an appointment or are available at one of our convenient locations on a walk-in basis. Complete Firefighter Respiratory Physicals: We offer complete firefighter physicals at each of our clinics including on-site at your facility. Our Provider’s follow the NFPA’s 1582 standards for firefighter exams. The physicals include a comprehensive medical history, pre-placement physical, evaluation of vital signs, audiometry, spirometry, ECG, musculoskeletal system, visual acuity, endocrine and metabolic systems, cardiovascular system, genitourinary system, and dermatological system. Pre-Placement and Fit for Duty Physicals: Your Doc’s In offers pre-placement and fit for duty physicals based on the demands of your company’s job description to promote a healthy and safe work environment. For our Client Companies, Simply send your potential employee in with an authorization form to be screened on behalf of your company. Not yet a Client company? Please fill out the Client Company Profile form and email to occhealth@yourdocsin.com for processing. Your Doc’s In also conducts sports, FAA, OSHA, medical surveillance, and physicals at each of our convenient locations. School/Sports Physicals: Also called pre-participation physicals, these physicals are a great way to make sure an athlete can safely play and a student can safely attend school. Even if your state or school doesnt require it, sports physicals also help to keep immunizations up to date and provide an opportunity to discuss any concerns you may have. Your Doc’s In is the proud medical resource for the Delmarva Shorebirds. During pregnancy, a hormone called chorionic gonadotroponin (HCG) is produced. HCG is measured during a pregnancy test to determine if the woman is pregnant. HCG appears in pregnant women in the blood and urine as early as 10 days after conception. A pregnancy test can be performed through either blood or urine. Depending on the test, it can take anywhere from 1 – 2 minutes to a day to get the results. Our well-trained providers at Your Doc’s In are available on a walk-in basis and without an appointment to meet your health care needs. Services are available at all our clinics by our friendly, personable and capable staff. An area of swollen or irritated skin is considered a rash. Common side effects to the rash are redness, itchiness, pain or irritation to the affected area. Many different medical problems could lead to a rash though some rashes are caused by irritating substances. Frequently, your skin’s contact with certain irritants can cause the above symptoms or small bumps. Rashes can develop right away or form over time. Before treating a rash, it is important to determine what has caused the rash.. Both novices and experienced fisherman alike have most likely had a body part snagged by a hook. Depending on the location and type of hook, there is a procedure to remove a fishing hook from an individual, painlessly and safely. Short-term (acute) sinusitis usually lasts less than 4 weeks. Up to two-thirds of people with acute sinusitis improve on their own without antibiotic treatment.1Sinus infections are commonly caused by viral infections, which do not respond to antibiotics. Talking with your doctor will help you determine whether treatment with antibiotics is needed for your acute sinus infection. Sore throats can be caused by viruses or bacteria. The most common causes of sore throats are viruses. Viral sore throats are often accompanied by other cold symptoms that may include a runny nose, cough, red or watery eyes, and sneezing. Other causes of sore throat include smoking, pollution or irritants in the air, allergies, and dry air.Although there is no cure for a sore throat caused by a cold virus, there are ways to help you feel more comfortable. Drinking warm liquids, gargling with warm salt water, sucking on ice chips, or taking an over-the-counter medicine may relieve symptoms of pain or fever. If your symptoms continue to be problematic, come to our clinic for further evaluation and treatment. Ligaments are tissues that connect bones at a joint. A stretched or torn ligament is a sprain. Sprains can result from a fall, a twisting motion or from getting hit. Two of the most common sprains affect the wrist or ankle. Common symptoms include pain, swelling, bruising and being unable to move your joint. It too is not unusual to hear a pop or feel a tear when the injury occurs. A stretched or torn muscle or tendon is a strain. Tendons are tissues that connect muscle to bone. Strains can result from a fall, a twisting motion or getting hit. This can occur over time or on a sudden basis. Some of the more common symptoms include pain, muscle spasms, swelling, and trouble moving the muscle. Initial treatment for both is RICE; rest, ice, compression and elevation of the effected injured area. 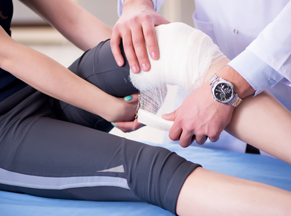 Sports injuries frequently require after hours care and on an urgent basis. Whether treatment is needed for the weekend warrior, high school or college athlete or your child in a recreational league, Your Doc’s In is here to meet your needs. Digital x-ray, splinting and wound care services are all provided under one roof. If needed, our trained staff of providers can refer you for additional testing or for an outside consultation. Crutches and braces are available on site should they be required. Sports or exercise injuries can occur due to accidents, improper training practices or gear that is not properly fitted. While exercising is important, not being in shape may lead to injuries. It is important to properly warm up and stretch to avoid an injury especially for those weekend sports warriors. If you get hurt, do not play through the injury. Initial treatment is RICE; rest, ice, compression and elevation of the affected injured area. Sometimes an x-ray. Digital x-ray services are provided at Your Doc’s In. If needed, we can refer you for additional diagnostic testing or a consultation with an orthopedic surgeon. Of the estimated 19 million new sexually transmitted disease cases (STD) each year, the CDC has determined that young people (15 to 24 years of age) make up almost ½ of those with STD. Severe health consequences, especially for women, are the result of individuals not being diagnosed and/or treated. A critical step to stopping the transmission of STDs is knowing one’s status as a carrier. Treatment is available for most STD’s, once it is diagnosed. Injuries that break the skin or other body tissues are called wounds. A deep cut can affect tendons, muscles, ligaments, nerves, blood vessels or bones. Should a minor wound (laceration) occur, it is very important to clean the area. Wounds that are infected or serious may require first aid and a trip to the doctor where the wound can be evaluated to determine if stiches are required and to insure the wound does not get infected. Strep throat is a bacterial infection that can make your throat feel sore and scratchy. Strep throat accounts for only a small portion of sore throats. If untreated, strep throat can cause complications, such as kidney inflammation or rheumatic fever. Rheumatic fever can lead to painful and inflamed joints, a specific type of rash or heart valve damage. Strep throat is most common in children, but it affects people of all ages. If you or your child has signs or symptoms of strep throat, see your doctor for prompt testing and treatment. It’s possible for you or your child to have many of these signs and symptoms but not have strep throat. The cause of these signs and symptoms could be a viral infection or some other illness. That’s why your doctor generally tests specifically for strep throat. Tetanus is a serious illness caused by bacteria that live in soil, saliva, dust, and manure. A deep cut such as may occur when stepping on a nail can cause bacteria to enter your body. This infection can lead to painful tightening of the muscles and which typically occurs all over the body. This may lead to “locking” of the jaw, making it impossible to open your mouth or swallow. This is a medical emergency which requires treatment. 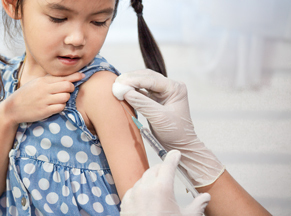 Vaccines which are given as a part of routine childhood immunizations can prevent tetanus. Adults should get a tetanus shot, or booster, every 10 years. If you get a bad cut or burn, see your doctor as you may need a booster. Tetanus infections can be prevented by immediate and proper wound care. 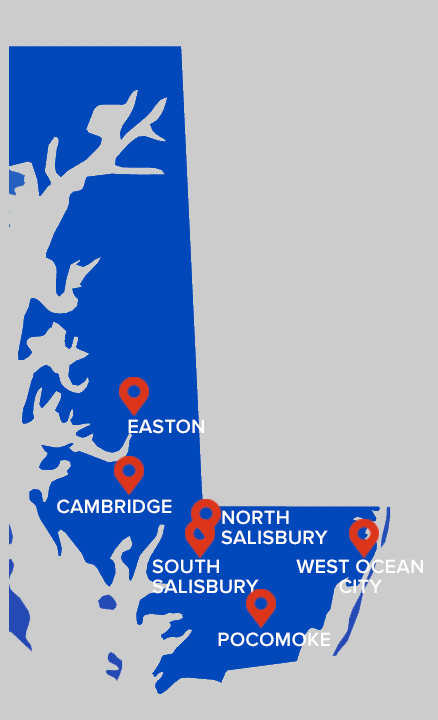 Our clinics are conveniently located throughout the Eastern Shore to provide immediate care for work injuries. Your Doc’s In Providers will take care of your team members to ensure a safe and efficient return to duty. All locations are prepared to treat on the job injuries or illnesses through top-notch proficient medical professionals. Your Doc’s In Occupational Health team provides follow up appointments and/or referrals for further treatment when necessary. Your Doc’s In clinicians provide thorough documentation and communication with employers on work restrictions/limitations prior to the employee returning to duty. Your Doc’s In also provides assistance with compliance for OSHA, DOT, FAA, USCG and FMCSA regulations. Many of us will experience wrist pain over our lifetime. This can be caused by an injury, through overuse of the wrist or through repetitive motion. Such overuse activities like racket sports, typing or sewing can cause pain or lead to a condition called carpal tunnel syndrome. Swelling, bruising and wrist pain can also be a sign of injury. X-ray is an important diagnostic tool to help evaluate what may be causing your symptoms. Knee pain can result from an injury such as from playing sports, from normal wear during the aging process or from such diseases as osteoarthritis. Such conditions can affect the bone, cartilage, tendons or ligaments and result in fluid in your knee. A common injury to the knee resulting from a sudden twisting motion is a tear to the anterior cruciate ligament (ACL). The shoulder is a complex joint composed of three bones. The most movable joints in your body, they can too become unstable should an injury occur to the muscles, tendons or ligaments, leading to shoulder pain. As a result of instability, it is the site of many common problems to include sprains, strains, dislocations and separations, tendinitis, bursitis, torn rotator cuffs, frozen shoulder, fractures and arthritis. One of the most common medical problems that affects everyone is back pain. This can range from a dull, constant ache to a sudden, sharp pain. Back pain can arise suddenly and last from a few days to a few weeks or months. The majority of back pain goes away on its own, though it can take some time. Our well-trained providers at Your Doc’s In are available on a walk-in basis and without an appointment to meet your health care needs. Services at our walk-in center are available at all our clinics by our friendly, personable and capable staff.